Yes, summer is back!!! No because it has been real winter in our piece of paradise, usually the temperature doesn’t drop below 20º, but it’s something in the air. After many weeks of getting up and sitting in front of the computers straight away, today we decided to go to the beach for a walk. It’s a wonderful day, sunny, warm and with a fabulous breeze. About time after the cloudy and rainy days we have had in the past weeks. It seems they are history now, so everybody, get ready to go to the Great Barrier Reef again. And don’t forget to rent one of our Digital Underwater Cameras We’re in the process of updating our stock, selling our old cameras (not one of the them is older than six months) and buying new ones. So if you are interested in buying one of the “oldies”, or renting one of the new ones, give us a call or drop us a line. Well, I was talking about how much we enjoyed going back to the beach after so many weeks of hard work. We even had time to take a couple of pics to show you all that we’re still alive and kicking. And working on our tan for when we go to Spain on holidays at Christmas time. Looking forward to it already. Last night we had a busy schedule. 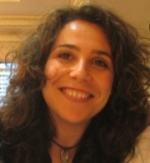 Apart from our normal delivery time, we met up with two of our Spanish clients: David and Yesenia. We organised their time in Australia, although they only had time to visit Cairns and the surrounds. They didn’t want to miss anything worth visiting, which is easier said than done. Tropical North Queensland is full of wonders, from the Reef to the Daintree Rainforest, from the Atherton Tablelands to the Queensland Outback. I think they were very happy with the way their trip had been organised, as they had time to go diving, visit Cape Tribulation, see crocodiles, cassowaries and other native animals in Cape Tribulation thanks to Mason’s Tours, make their way down to Mission Beach and Dunk Island and tour around the Tablelands, including Yungaburra, Malanda and Mareeba on their way back to Cairns. And after saying goodbye to our new friends, we headed down to the Green Ant Cantina for a fantastic Mexican feed. Little by little we’re starting to have our favourite restaurants in Cairns, and in other areas of the region as well. It’s not an easy task, new restaurants open and close all the time and it’s pretty difficult to keep on top of things here in Cairns. We manage somehow. 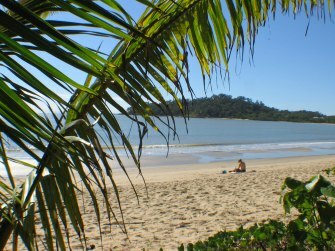 Why is Tropical North Queensland so popular as a movie setting? If there’s one thing I don’t miss about Madrid is that it’s very far away from the beach (I miss everything else). But now that we live in CAIRNS we can get up in the morning and decide to go for a swim to one of the CAIRNS NORTHERN BEACHES. 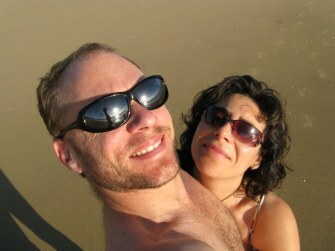 We’re discovering one of them on each trip, so it was time to go to KEWARRA BEACH, about 20 kilometres north of Cairns. Kewarra is a small community suburb, with just a few shops and some facilities. Compared to other destinations in Tropical North Queensland, it’s somehow underdeveloped, which is not such a bad thing these days after all, is it?. Here you have a couple of photos we took this morning. Isn’t it a nice place to spend your holidays? Of course, we’re not the only ones who find Tropical North Queensland a paradise. Lately, the area has been used as the setting for a few movies. First it was Nicole Kidman and Hugh Jackman filming “Australia” in BOWEN. The film is set in the 1930s, and revolves around the relationship between a respectable English aristocrat (Nicole Kidman) and a rough-and-ready cattle drover (Hugh Jackman). The two are caught in World War II bombing raids, which is where Bowen comes in: it’s the stand-in location for Darwin. And now we have Tom Hanks and Steven Spielberg in PORT DOUGLAS, filming a $120 million World War II miniseries, “The Pacific”. Although locals shouldn’t be too excited about having two celebrities in town. Port Douglas has become a popular holiday destination for celebrities and personalities, including actors, politicians and the rich and famous. Even Bill Clinton spent a few days in Port Douglas when he visited Australia, of course, many years ago. But in the past, other movies have also chosen this area. “The Thin Red Line”, starring actors such as George Clooney, Sean Penn, Adrian Brody and Nick Nolte, was filmed between BRAMSTON BEACH, MOSSMAN, CAPE TRIBULATION, CAIRNS and DAINTREE. 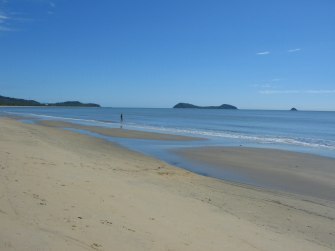 DUNK ISLAND’S unspoilt tropical scenery was chosen as the setting for the cinematic version of Norman Lindsay’s “The Age of Consent” in 1968, starring James Mason and Helen Mirren. So, what are you waiting for to discover what film directors discovered many years ago in Tropical North Queensland?